There have been many books on the topic of vacuum technology. Most of them are hard to find and out of print. Some of the older books by the masters have data that are still relevant dispersed in a sea of information about technologies that are no longer in use. These technologies have become outdated because of advancements in vacuum pumping, chamber fabrication techniques, electronics or the development of new metrology devices. This presents a challenge to the engineer, scientist or student that needs to learn about vacuum technology quickly and efficiently. One can spend hundreds of dollars on books to get a piece from one source and a chunk from another. Worse yet, if one is new to the discipline he may not know what is still in use and what is outdated. 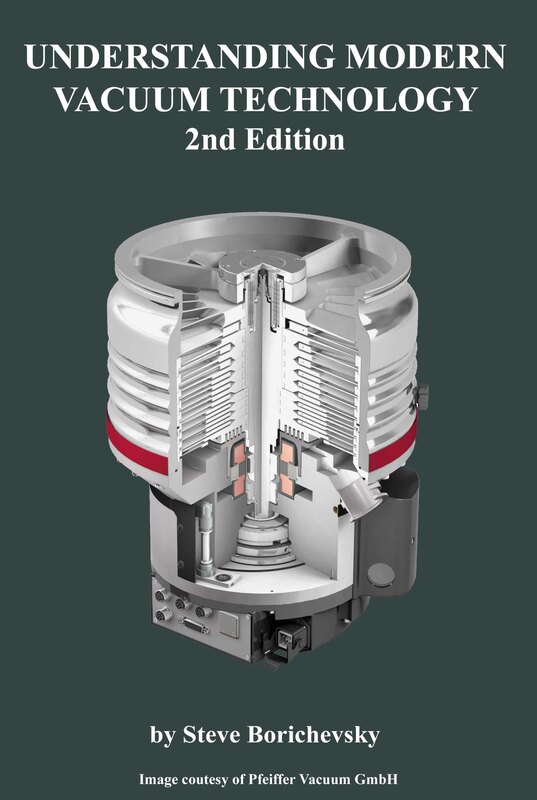 Understanding Modern Vacuum Technology was written with the express purpose of presenting the key vacuum technology principles in a readable form so that the information can be absorbed efficiently without having to sift through outdated methods and techniques. A typical topic in Understanding Modern Vacuum Technology will start with the basic principles and take you up through the development of the technology used today. This is done to give the reader a deeper understanding of the topic. It draws upon peer reviewed literature, textbooks, articles, patents and personal experience—all with the purpose of helping you become successful in the art. Understanding Modern Vacuum Technology is an exceptional value in an age when textbooks have become prohibitively expensive. It is a library-quality book with a cover printed on 10pt stock and laminated for durability. Q: What were the three hypotheses that Italian physicist Amedeo Avogadro propose that were not well received yet became the basis of the atomic theory of chemistry? Q: Who determined Avogadro’s Constant? It wasn’t Amedeo Avogadro. Q: Two chambers of different temperatures are connected by a narrow tube. If you know the the pressure of one chamber and the temperatures of both, how can you predict the pressure in the second chamber? Q: Vacuum pumps are rated by their speed, which has unites of volume/time, for example L/sec, cubic meters/hour, etc. How can you make sense of this? Q: What is the Ion Current Turn-around of a Bayard-Alpert Gauge? Q: What was the greatest improvement in high vacuum pressure measurement since the development of the Bayard-Alpert ionization gauge? Q: How can gas pressure be measured with photons? A: See page 124 and page 130 for two techniques! Q: What is an Ion Trap Mass Spectrometer? Q: What is a “molecular pump”? Q: With respect to cryogenic pumping, what are the three types of gases? Understanding Modern Vacuum Technology is being read by engineers, technicians, scientists, students, engineering managers, marketing personnel, sales managers and even executives in the vacuum industry. These are actual comments from people who have purchased the book.